SAN JOSE, CA ― September 2015 ― Bentek, a manufacturer of a broad range of OEM power distribution products for the residential, commercial and utility-scale solar PV marketplaces, will exhibit in Booth #3314 at Solar Power International (SPI), scheduled to take place Sept. 14-17, 2015 at the Anaheim Convention Center in Anaheim, California. Bentek will introduce several new Electrical Balance of System (EBOS) solutions for the residential, commercial and utility-scale PV market. Bentek’s new products on display will include: the cost-effective AC PowerPanel, AC PowerBUSS, Utility-Scale (UTS) AFCI combiner, Utility-Scale (UTS) 1500VDC combiner and Cable Harness Solutions. Bentek Utility-Scale (UTS) AFCI and 1500VDC Combiner Solutions are designed to meet new Utility-Scale Arc Fault and 1500VDC requirements, providing high reliability and safety for utiity-scale PV projects. 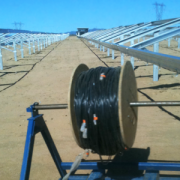 Bentek Cable Harness Solutions for both the Commercial and Utility-Scale PV marketplace save installers both installation time and money with factory pre-cut lenghts and pre-installed connectors. Bentek also will exhibit several NEC 2014 compliant Rapid Shutdown solutions. 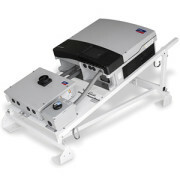 Residential Rapid Shutdown System (RSS), Commercial PowerRack and PowerShield, and PowerSkid with integrated three-phase string inverter and integrated Bentek AC Disconnect. 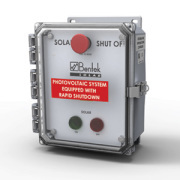 The Bentek rapid shutdown solutions provide the PV marketplace with a cost-effective universal design for ABB, Chint, Fronius, Schneider, SMA, Solar Edge, Sungrow and Solectria string inverters. The Bentek Residential Rapid Shutdown System (RSS) is a complete stand-alone solution that is highly cost-effective and easy-to-install. It includes two components – the Rapid Shutdown Controller (RSC) installed at the service entrance and a Rapid Shutdown Module (RSM) installed at the array. The Bentek Commercial PowerRack, PowerShield and PowerSkid provide installers with an easy, cost-effective way to install three phase string inverters directly on flat commercial rooftops at the edge of the PV array, meeting the requirements of NEC 690.12. For more information about Bentek’s entire suite of PV solutions, stop by Booth #3314 at SPI in Anaheim, call Bentek at 1-866-505-0303, or visit www.Bentek.com. SAN JOSE, CA ― January 2015, Bentek, a manufacturer of a broad range of OEM power distribution products for the residential, commercial and utility-scale marketplaces, has begun shipment of the Bentek Commercial PV PowerRack-AL for three-phase inverters. The universal PowerRack-AL provides a common design that fits ABB, Advanced Energy, Chint, Schneider, SMA, Solar Edge, SolarMax and Solectria three-phase inverters. The PowerRack-AL is adjustable from flat to 15, 20, 25 30 degrees to ensure minimal shading to PV panels and maximium inverter performance. 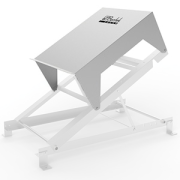 The PowerRack-AL also has optional PE rated ballasted feet that can be used for high wind areas. 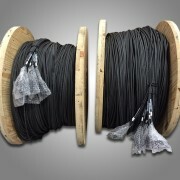 These features insure a reliable, easy to install product that will meet or exceed local codes. 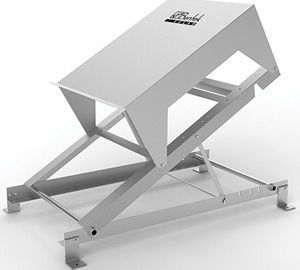 The Bentek Inverter PowerRack-AL can be shipped directly to any commercial jobsite where three-phase inverters can be integrated and installed on commercial rooftops. 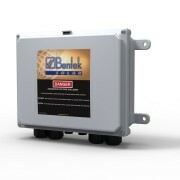 Bentek also can integrate commercial three-phase inverters and Bentek AC disconnects in its ISO 9001:2008 factory and ship the Bentek Inverter PowerSkid directly to the commercial jobsite. Bentek PowerSkids, when installed within 10 feet of the PV array, allow for NEC 2014 section 690.12 Rapid Shutdown code compliance while saving the customer time and money in simplifying the installation. For more information about the capabilities of the Bentek Inverter PV PowerRacks and PowerSkids, please contact Bentek at 1-866-505-0303 or visit www.Bentek.com.